The O-O rule loses its impact outside of German speaking countries. Still, it is handy to know that from October to Easter – Oktober bis Ostern – winter tyres, or equivalent, are needed to drive in a number of European countries. The rules vary – from compulsory between certain dates, regions or conditions – as do the definitions of winter tyres, and even winter itself. Winter tyres must be used in wintry conditions. Luxembourg: In winter, winter tyres. Required from 1 October when conditions are wintery. Germany and Luxembourg have similar laws on winter tyres: they must be used when there is snow and ice on the road. This applies from 1 October in Luxembourg and at any time in Germany. Conversely, when there isn’t any snow or ice you do not need winter tyres. In Germany the fine for not being ‘properly equipped’ (which includes anti-freeze in the windscreen wiper system) is €60, or €80 if ‘causing a risk to traffic’. Being involved in an accident without winter tyres can also invalidate your insurance says the German authorities. In Luxembourg the fine is €74 but there is some doubt about whether the rules apply to foreign registered cars (there is even doubt the 1 October date applies). In both countries a winter tyre is one marked M&S, MS, M+S (for mud and snow), or with the Three Peak snowflake symbol. ‘All-Weather’ tyres marked with M&S are also acceptable. Winter tyres an alternative to snow chains over ‘winter’. 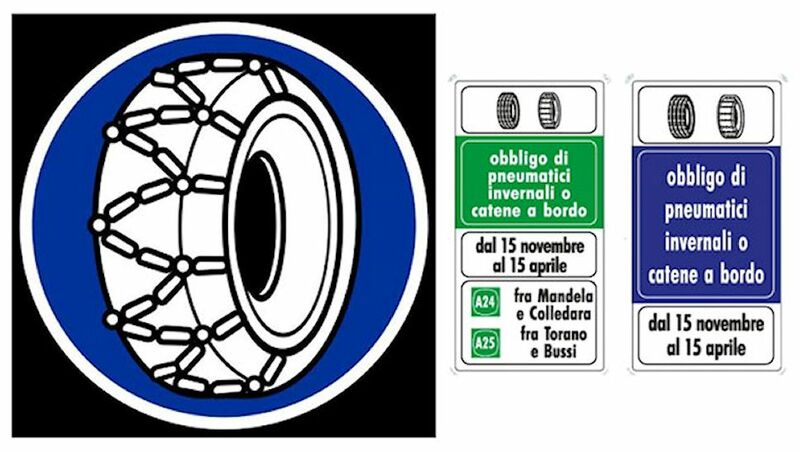 Italy: ‘Obbligo di pneumatici invernali o catene a bordo – Obligation to have winter tyres or snow chains’. The rules in Italy revolve around the requirement to carry snow chains on particular roads over the winter period – as denoted by signs, above – though winter tyres (or All-Weather tyres) marked M&S, MS or M+S are a legally acceptable alternative. In most parts of the country winter officially lasts from 15 November-15 April though in the Aosta Valley it starts on 15 October, and in other mountainous regions on 1 November. The rules are set by each region so fines range from €80-318. See the national traffic website CCIS to see exactly where and when the winter tyre/chains requirements apply, as indicated by the tyre logo above left. Winter tyres needed in wintry conditions 1 November to 15 April. 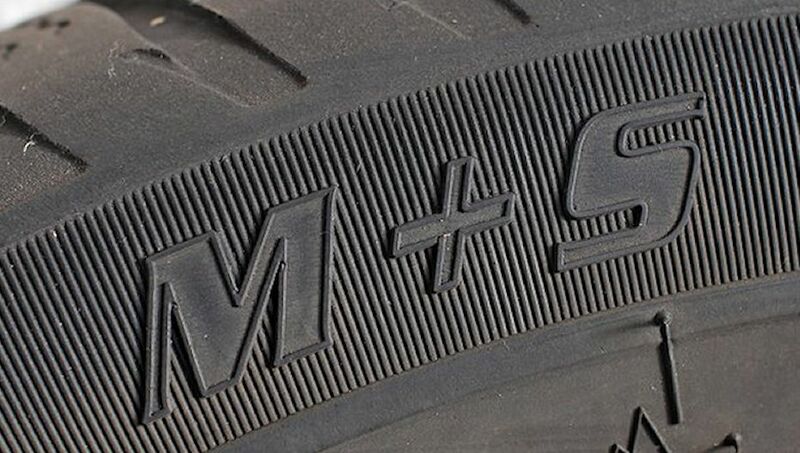 Austria: a winter tyre is one that is marked with M+S, MS or M&S. In Austria, from 1 November-15 April, all vehicles up to 3.5t may only be driven in ice and snow ‘wintry conditions’ if winter tyres are fitted to all four wheels. Snow chains fitted to at least the two driven wheels are an alternative if the road is covered with ice or snow. Trucks 3.5t+ must have winter tyres fitted to drive axles during this period whatever the conditions (up to 15 March for ‘omnibuses’) and carry snow chains. By law, a winter tyre is only one marked M&S, MS or M+S. There’s no mention of the Three Peak snowflake symbol. However, ‘All-Weather’ tyres marked M and S are acceptable. The regular fine is €35 but can be as high as €5,000, and your car confiscated, if the case goes to court. Read the full requirements here. 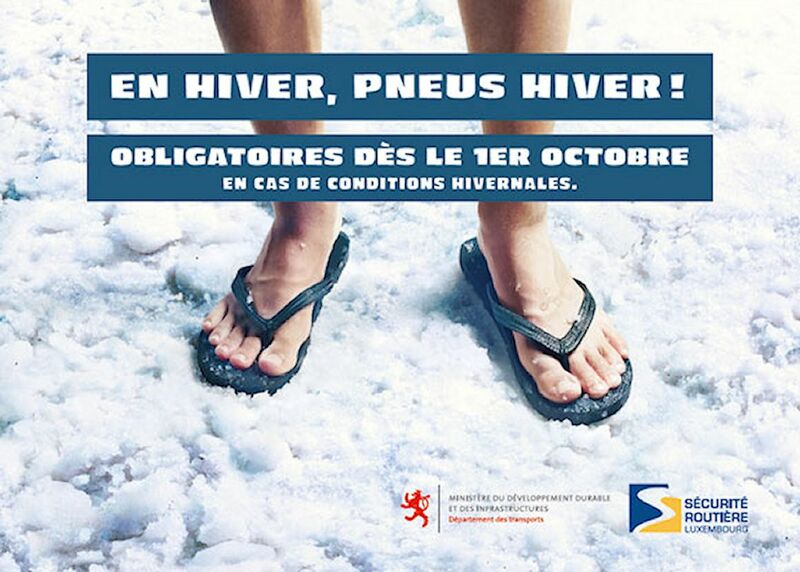 There is no general requirement to have winter tyres in France. 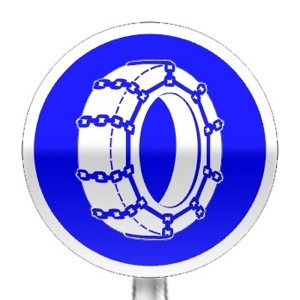 Like Italy, the law revolves around the use of snow chains. Drivers are obliged to use snow chains when directed by signs, above. 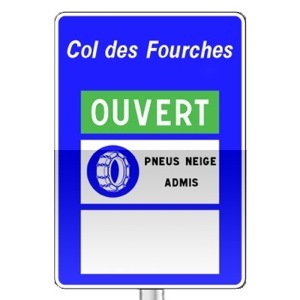 Unlike Italy, winter tyres are not always an acceptable alternative, only where the sign is accompanied by ‘Pneus Neige Admis’ (Winter tyres acceptable), above left. Similarly there is no law on winter tyres in Switzerland (or Liechtenstein) though the authorities warn that drivers with ‘unsuitable vehicle equipment’ who get stuck or cause an accident ‘can be held accountable’. From 15 November to 15 March all cars must be equipped with tyres marked M+S (either Winter or All Weather tyres), or carry a set of snow chains. Minimum tread depth is 3mm. Some surprising requirements in the coldest part of the Continent. Sweden. Photo via Swedish Transport Agency. 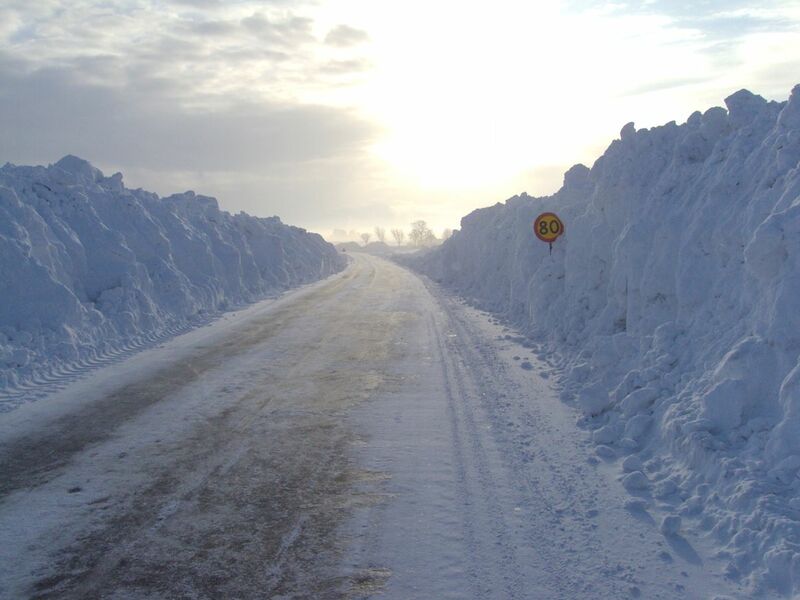 There are no rules on winter tyres for cars in Norway per se (see link below for vehicles 3.5t+). The National Roads Administration says ‘it is up to the driver to assess whether the vehicle has sufficient grip on the road surface’. However, the advice is pretty clear: ‘Summer tyres should not be used in winter conditions’. Meanwhile, tread depth must be at least 3mm in winter compared to 1.6mm otherwise. In general, studded tyres or snow chains cannot be used before 1 November or after the second Monday following Easter Sunday (earlier and later in the north). See here for the full advice. In Sweden, from 1 December until 31 March, during ‘wintery conditions’ – when there is snow, slush, ice or frost on any part of the road (as defined by police) – vehicles up to 3.5t must have winter tyres (marked MS, M+S, etc) with at least 3mm of tread, including trailers. Vehicles 3.5t+ must have winter tyres on the driven wheels (all of them) except front wheel drive vehicles which must have them all round (or equivalent) with 5mm of tread. Studded tyres can be used 1 October to 15 April. See here for the full advice. Winter tyres are compulsory in Finland as of 1 December until the end of February (and may be used until 20 April). Minimum tread depth of the ‘principle grooves’ is 3mm. Studded tyres are allowed from 1 November. More here. Hire cars – rarely routinely fitted with winter tyres. Fuel – UK diesel freezes below -15C, Continental diesel below -20C. Always fill up locally. ‘All-Weather’ tyres – despite the varied climate, most tyres supplied in the UK are summer spec. While the debate over the benefits of buying a separate set of winter tyres (and often wheels too) rages – they work best below 7 degrees whatever the conditions – the obvious alternative is a set of All-Weather tyres for use all year (and all over the Continent). The received wisdom is that they are expensive, noisy, reduce fuel economy and are compromised in both summer and winter. The Daily Telegraph conducted a comparison last year. We are about to take delivery of a set and will report back. I’m an all-weather tyre user. Please, tell us how you get on with them, we’re all ears.